What are the Most Common Construction Injuries in 2018? There has been a slew of construction site accidents in Philadelphia this year, injuring workers and calling into question whether safety standards are being followed in the Philly construction industry. In May, a construction worker fell through the roof of a building under construction at the University of the Sciences in Southwest Philadelphia. Then, only about a week later, a construction worker was hospitalized after he was hit by falling bricks in Center City Philly. (The bricks fell five stories off a platform… were they properly secured for being up that high?) In June, two construction workers were injured by a falling beam, and in September, another Center City construction accident involved a construction worker becoming trapped under debris. Read on to learn more about the most common construction injuries and why constructiona accidents occur so much. Why are construction accidents so common? Construction sites are dangerous places. Think of all the large equipment, heavy tools, sharp objects, and electricity, plus trenches and excavation areas far below ground level as well as ladders, platforms, scaffolding, and cranes far above. Construction accidents occur simply because of the hazardous nature of the work, but many accidents can be mitigated or avoided entirely when construction industry standards are followed and safety precautions are in place. OSHA (the Occupational Safety and Health Administration) provides these standards. At Benedum Law Firm, attorney Christine Benedum is OSHA 10 certified to enhance her ability to represent construction workers and others injured due to unsafe and hazardous workplaces. This program—generally for construction workers and employers—provides specific training on the recognition, avoidance, abatement, and prevention of safety and health hazards on construction sites. From a legal perspective, it offers valuable insight for knowing when appropriate procedures and safety standards haven’t been followed, and whose responsibility it was to follow them. 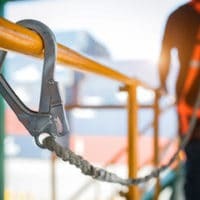 When OSHA standards aren’t met, construction workers face additional danger doing an already dangerous job, and construction accidents are more likely to occur. If a person in charge of the construction site, or a hired third party, caused or contributed to an accident, injured workers may be able to recover compensation for the harm done to them. For more information about Christine Benedum’s construction law practice, please contact our law office in Chestnut Hill. With the right legal representation, you can obtain the recovery you deserve after a construction accident.